Solid centre-back who had three successful seasons at Baldock Town prior to a summer move to St.Albans City. 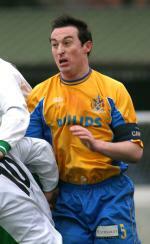 Switched to Bedford Town in January 2002, but then returned to St Albans at the end of the season on a two-year contract. Club captain.